I promised Erica I would take her to Kohl's tonight to spend the $50 of Kohl's Cash Scott racked up over the weekend. Did I mention how much I love Kohl's? Erica wanted a new swimsuit, since hers is falling apart (too much chlorine exposure). But at the end of the season, the selection is very sparse. Instead, she chose some new jeans. The drive home normally takes 10 minutes, but tonight there was an accident on the highway. I feared the worst for the motorcyclist as we passed by the scene of the accident and I said a quick prayer. Later on I learned that the accident was caused by a motorist who, upon missing her exit, decided to BACK UP on the interstate. 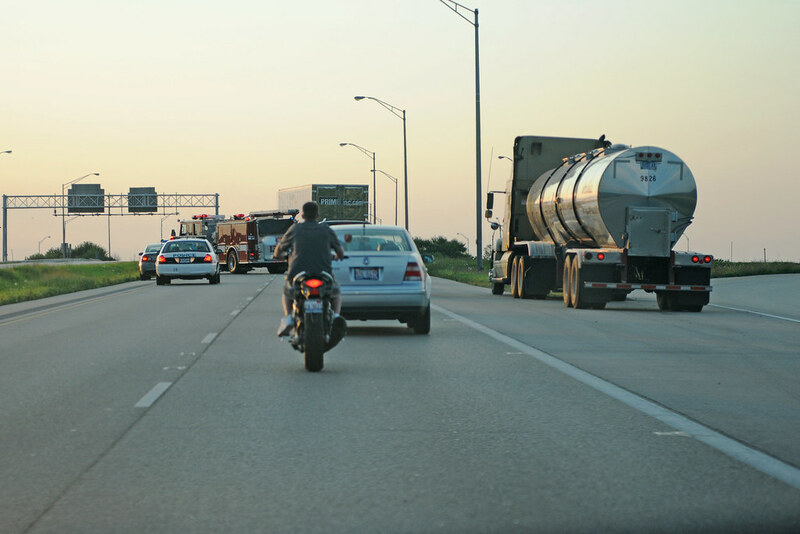 The motorcyclist clipped the back of her car, and fortunately, was uninjured. Back at home, Scott built a little fire and Brian roasted some marshmallows. We burned some of the dead brush from the yard.